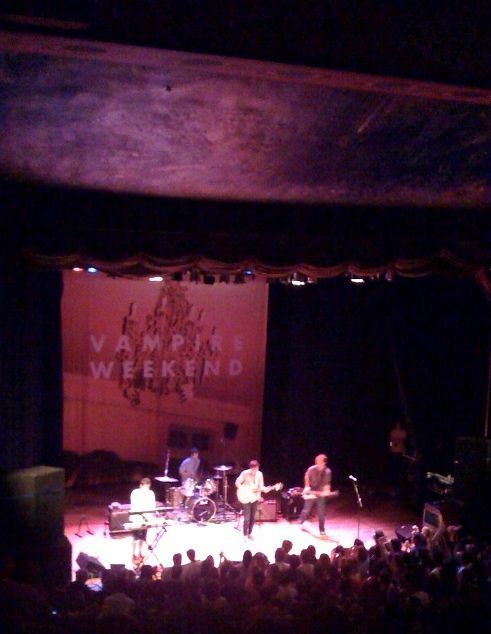 While the official weekend doesn’t start until 5 p.m. Friday, the Vampire Weekend kicked off about 9:30 Thursday night. The Brooklyn-based quartet breezed through their repertoire for a sold-out Liberty Hall crowd in little more time than it takes to play their only album. If anyone was disappointed they hid it well. 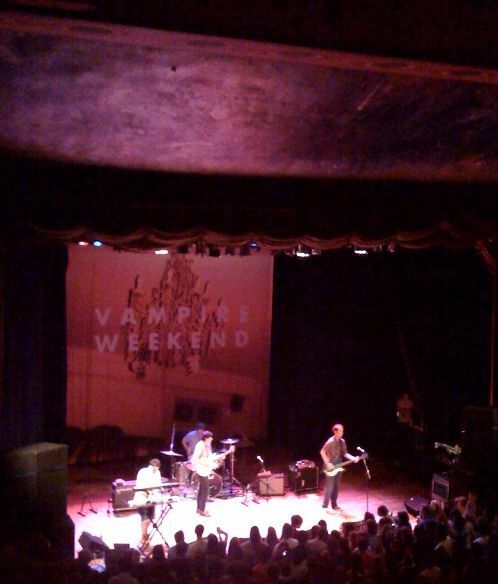 Vampire Weekend’s sound is best described as Paul Simon’s “Graceland” for the indie rock crowd. As on the album, “Mansard Roof” was the first number up. It, like most of the songs performed, sounded basically like it did on record. Which was the point – play the hits to the devoted and let them sing along. The two new songs were just as popular as the familiar material. The first new song was little more than guitar and drums over an ‘80s drum program. Temporarily freed from playing, bass player Chris Baio gleefully hopped around on the balls of his feet. Both it and the other new number were very much in the same vein and spirit as the other songs. Overt references to Kansas drew bigger cheers that the subtle ones. Everyone yelled when the lyrics to “Byrn” namechecked The Sunflower State, but few recognized the snippets of “Over the Rainbow” keyboard player Rostam Batmanglij floated between songs.